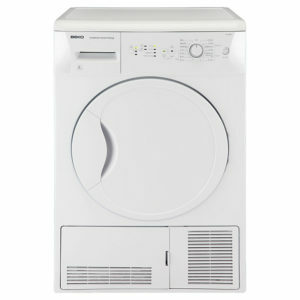 Tags: 8kg, Condenser Freestanding Tumble Dryer, hoover. Condenser tumble dryers divert the water created by the drying process into a reservoir which you’ll need to empty once full. A condenser dryer does not have a hose or require a vent, so you can install it in any well-ventilated room. The reservoirs in some condenser dryers are floor-level which can make them quite heavy and difficult to carry when full. 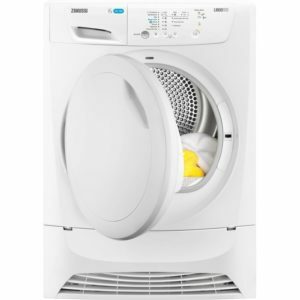 If you think you’ll find kneeling down or carrying the reservoir difficult, you may want to consider a condenser tumble dryer with a door-level reservoir instead. 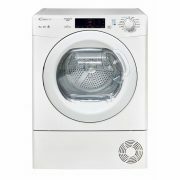 Tumble dryers featuring Hoover’s AquaVision for example feature a unique and patented water reservoir that sits inside the door for convenience. Because the AquaVision reservoir is door-level and designed to make carrying easy, it makes emptying collected water ultra quick and easy. The AquaVision reservoir is also transparent, so you can also easily see when the reservoir is full and therefore prevent interruptions to the drying cycle. There’s wide range of condenser tumble dryers on the market, so if you want plenty of choice when it comes to styles, colours, sizes and programmes, a condenser tumble dryer may be your best option.